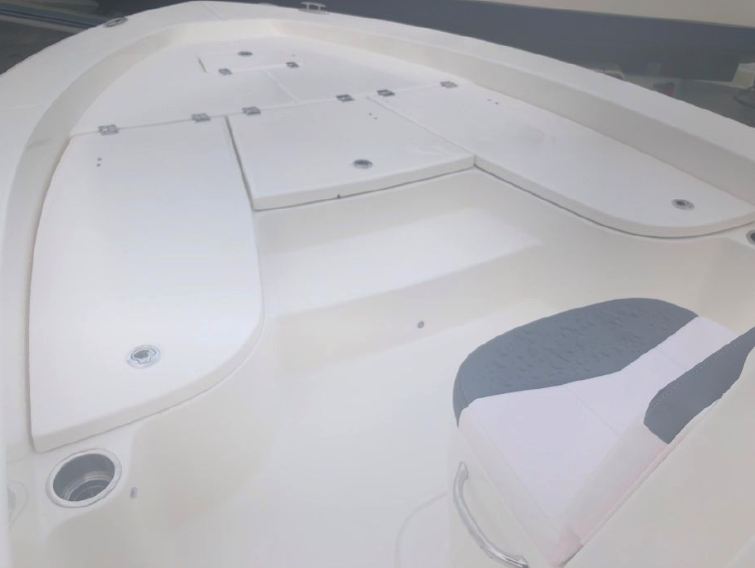 Everything that’s special about Robalo’s new bay boat Cayman Series gets bigger and better with the introduction of the 226. Sporting a Reel Deal price including a 200 hp Yamaha and a trailer, the 226 Cayman has a big boat feel and is perfectly suited for a wide variety of conditions. Go ahead and fish the flats or venture outside the harbor offshore. Sporting a 22’6″ centerline with a trailerable 8’6″ beam, the 226 Cayman gets it done with dry-riding freeboard and an efficient 15 degree variable deadrise Hydro Lift bottom design. Engine options up to a 250-hp Yamaha are available. 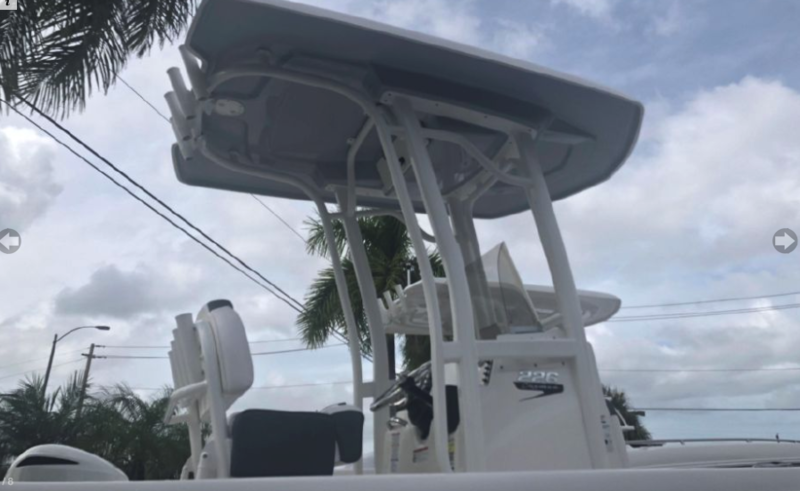 Tournament anglers and recreational fishermen alike will appreciate the 226’s distinct style lines, high quality fit and finish and extensive fishing features. 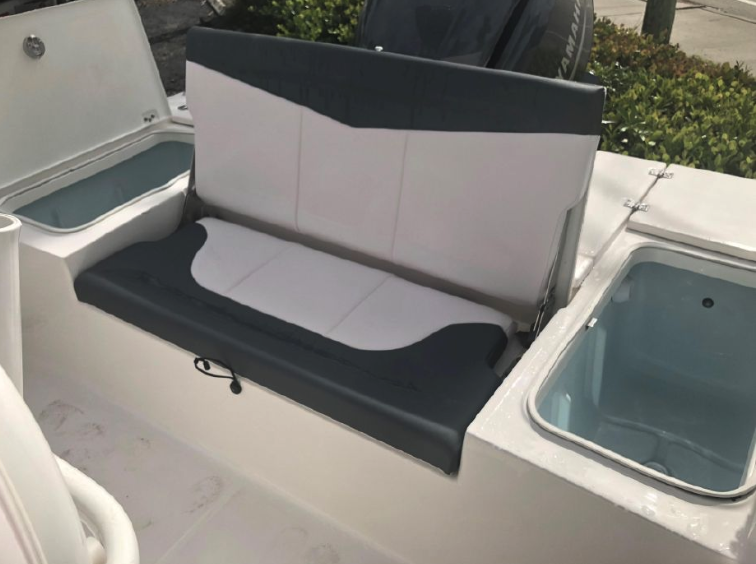 Three 30-gallon live wells, lockable rod storage, wide walkable gunwales and dual casting decks all rate best-in-class. 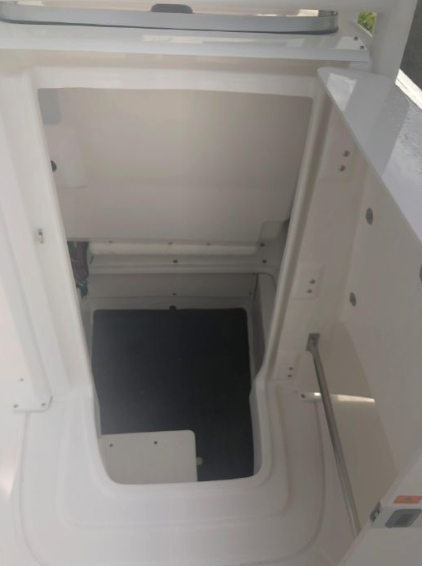 Additionally, the 226 is one of the few boats in this size range that features a fully-enclosed walk down compartment that serves as a privacy head with the addition of an optional porta-pottie. 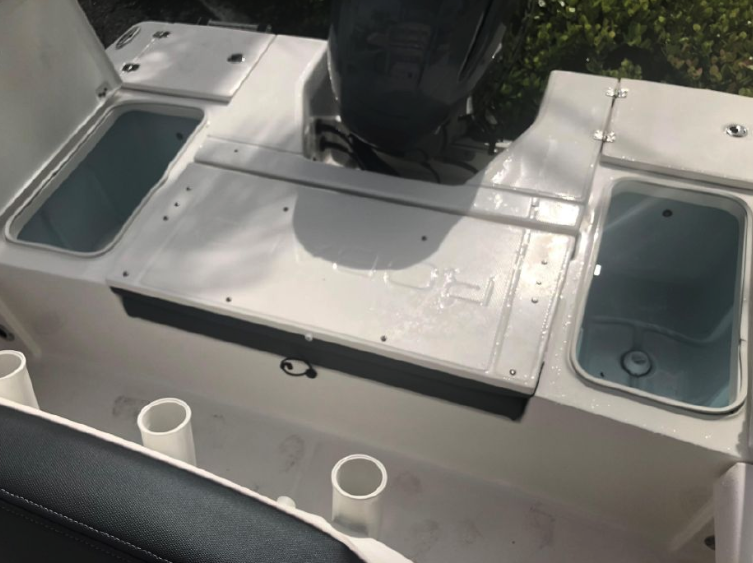 Rigged to meet the rigors of saltwater environments, the 226 showcases Kevlar reinforced construction, complete stainless steel hardware and a ceramic cored transom for added strength and durability. 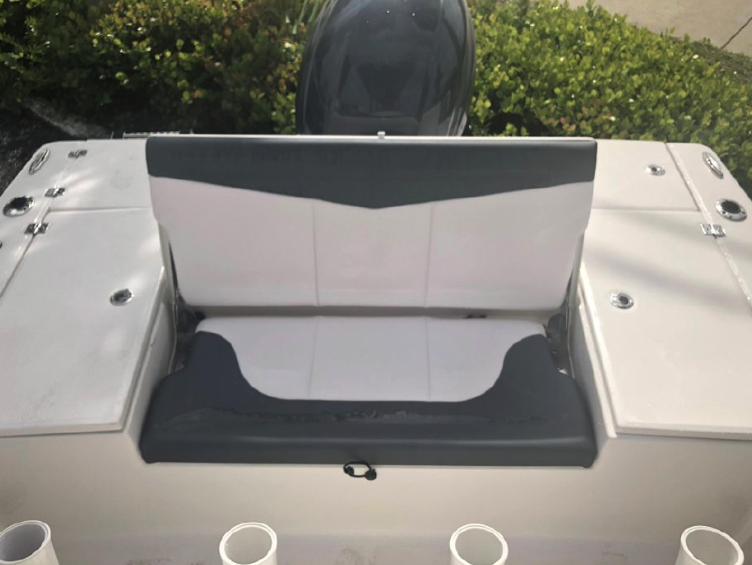 This 2019 R226 Cayman is a Solid Hull Ice Blue Gel Coat with T-Top (White Powder Coated) with Fiberglass Hard top, Hardtop Underside Gel Color – Ice Blue, Steering Wheel with Control Knob Upgrade, Sea Star Hydraulic Tilt Steering, Dual Battery Setup with Crossover Switch, Leaning Post with 4 Rod Holders, Dual Flip UpBolsters, and Cooler – White Powder Coated, Raw Water Washdown, Lower Unit lock and a Coyote CMC 226 Aluminum Trailer! The Perfect Package!